Insulation is a very important aspect to every home. Whether you’re building a new home, or think it may be time to have new insulation installed in your attic, ensuring that you choose the right insulation is essential. Blown-in and batt insulation are quite different and before you make the decision on which one is right for your home, you should look at the benefits and drawbacks of each. Blown-in insulation is a loose-fill insulation. 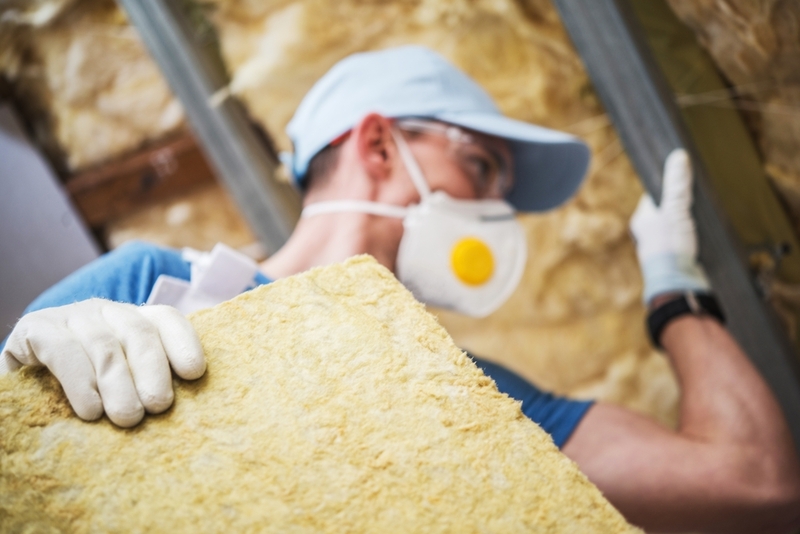 This insulation is made of varying types of recycled materials like fiberglass or cellulose that is then blown into your attic with a machine. Batt insulation is composed of fiberglass and is stored in large rolls or blankets. At Superior Home Improvements, serving Lexington and all of central Kentucky, we want to show you the pros and cons of both blown-in and batt insulation to help you make the best choice for your home. - Blown-in insulation is better for the environment. Blown-in insulation is composed of mainly recycled materials like cellulose and fiberglass. Cellulose is usually composed of recycled newspaper, while fiberglass is mostly glass or mineral wool. - Ideal for irregular shaped areas. Because blown-in insulation is blown-in with a machine, the product can fit into oddly shaped and tight areas with ease, better insulating those areas. - Blown-in insulation has an R-value between 2.2- 3.8 per inch of product, and while this is still low, the loose material is easier to fit in most areas. - Cellulose is a fire retardant. Cellulose will char and redden, and then turn black when met with fire, but will not catch fire or spread the fire anywhere. - Blown-in insulation is treated with a borate, which makes it poisonous to pests. - Blown-in insulation will retain water for a long time if it has a large percentage of fiberglass. This can lead to mold and also reduce the R-value of the product until it dries. - While the borate treatment is great for preventing pests and vermin in your attic, this chemical treatment reduces the eco-friendly status that most blown-in insulations claim to have. - Blown-in insulation can be expensive because this product cannot be installed without a professional team and appropriate equipment. - Batt insulation is readily available and easy to get without a wait time. - Batt insulation can be installed in almost any area of a home; attics, walls, and even flooring can all be insulated with batt insulation. - Batt insulation is very inexpensive to install, the least expensive of all insulation options. - Because of its lower R-value per square inch (between 2.9 and 3.8) you will need to stack multiple layers of batt insulation together to achieve the proper insulation amount. This can be difficult because some areas are oddly shaped and do not allow for this much product. - Batt insulation comes in a pre-cut size. This sizing makes oddly shaped areas very difficult to cover and can lead to a difficult installation. - Batt insulation is even more susceptible to moisture damage because once fiberglass is wet it has absolutely no R-value until it dries out again. If you have more questions about which type of insulation is right for your home, or are ready to get moving on having insulation installed, contact Superior Home Improvements today. Located in Lexington, Kentucky, our team of experienced home improvement professionals can help you with all your insulation needs. With an A+ rating from the BBB and as a member of Angie’s List, we can assure you that our services will meet all your standards and that you will be satisfied with your end results.